The Law Offices of Glenn W. Cunningham is a legal firm based in San Antonio, Texas. The firm specializes in complex personal injury cases involving bodily injury and wrongful death, such as car and 18-wheeler truck accidents, cases related to nursing home neglect and abuse, medical malpractice, and legal malpractice. 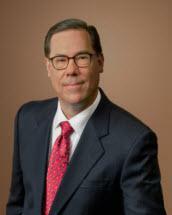 Glenn Cunningham is a highly experienced trial lawyer. He has been a personal injury attorney in Texas for nearly twenty years. Glenn is "AV" rated by Martindale-Hubbell, a prestigious distinction achieved by only a fraction of lawyers nationwide. He is the President of the San Antonio Trial Lawyers Association, Chairman of the Bexar County Justice PAC of SATLA and is a Sustaining Member of the Board of Directors of the Texas Trial Lawyers Association. The Law Offices of Glenn W. Cunningham are located just north of the San Antonio International Airport on Highway 281, in the Pacific Plaza, 14100 San Pedro Ave., Suite 550. Clients of Glenn Cunningham enjoy the convenience of free parking. If you feel that you or your loved one has suffered a debilitating personal injury or death as a result of the negligence of another, you are urged to contact Glenn Cunningham. There is no charge for us to review your case and there are absolutely no fees unless you win.